The release of Windows Vista was not the success PC makers had hoped for. Maturing markets and a continued fall of prices will make many manufacturers struggle, reports from analyst firms Gartner and IDC show. Over the next year, Gartner says that system builders will see the growth in PC sales becoming increasingly slow. The firm has predicted that worldwide PC shipments will increase 10.5 per cent while PC revenue will only increase by 4.6 per cent in 2007. The figures indicate a slower growth than previously, and according to analysts this is partly due to the weak demand of Microsoft 's new Windows Vista operating system. The sluggish growth in maturing markets like the US and Europe is also to blame. These factors have led to a drop in the average price of PCs which has put even more pressure on PC makers to become more efficient and lower their costs to keep afloat in the global PC market. "While Windows Vista includes a number of interesting features, these features just don't have enough 'must-have' appeal with the average home user to spark a significant rush of new PC sales," said Mikako Kitagawa, a principal analyst at Gartner. 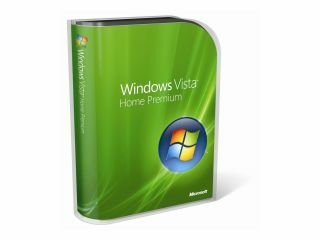 The research firm instead predicts that the move to Windows Vista will be slow and gradual, and that consumers will get Microsoft's new OS when they upgrade their PCs during the coming years. According to Gartner, 255.7 million PCs will be sold this year, at a total revenue of $217.3 billion (£109.2 billion). But the trends of price drops and increased market maturity have already had an impact on the PC market. During the last quarter of 2006, PC sales increased by 7.3 per cent to 64.7 million units, according to IDC. This number is significantly lower than the 15 per cent the market grew by during the same quarter in 2004 and 2005. It is primarily the demand of desktop PCs that is dropping. By 2011, notebook computes are expected to outsell desktop machines in the global PC market.